Jumping genes lack the code needed in the creation of functional proteins but they play a major role in developing the placenta during pregnancy and in regulating gene expression during the early stages of development of the human embryo. In such a way, jumping genes helps develop immunity and brain function at the embryonic level. While they have their pros, jumping genes have their cons too. And they are actually famous for that – perhaps just a misconception. They are instrumental in the passing of negative traits or hereditary conditions like neurodegeneration and blood disorders, even certain cancers. While they generally do not possess any useful genetic information, this type of gene doesn’t often trigger negative effects in itself since it is posited in a genome’s non-functional region and that left them to accumulate as “genome parasites” over the years. The human body is amazing in itself even if we do not always understand what is going on inside it. But as life becomes more complex and we are exposed to more serious threats and complications, it is inevitable for us not to study the human body even further in order to find potential answers to things we don’t understand or even bother us. 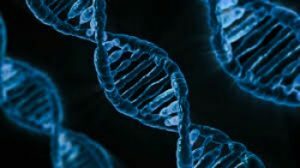 It’s why jumping genes are becoming an interesting topic in the medical world in recent years because it is shedding some light on problems we can’t seem to find an answer for.